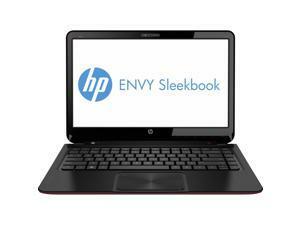 HP ENVY 6-1010us reviews, ratings, prices, and specs. 14.72" x 9.95" x 0.78"
Summary: The performance of the AMD's A6 and A8 processors is noticably worse than Intel's Core i3/i5/i7 processors across the board. The AMD A6 and A8 offer better performance only for gaming. The AMD A-Series (AMD Fusion) are a type of chip that merges the CPU with a high-performance GPU (graphics processing unit) resulting in a versatile system that is very power efficient. The A6 and A8 are more suited for all-around use w/advanced graphics applications (such as gaming or 3D modeling).